Watts Batteries recycle a variety of car, home and commercial batteries. Batteries are made up of heavy metals and other toxic elements, including nickel, cadmium, alkaline, mercury, nickel metal hydride, and lead acid. It is these elements that can threaten our environment if not properly discarded and/or recycled. Batteries which end up in landfills leak into the environment, causing a serious health risk to humans and animals. As a result, leading members of the battery industry joined together to set up a national battery collection and recycling scheme. Watts Batteries is part of an independent group of businesses working to provide better solutions for sustainability. As such they are proud Gold Members of ABRI, The Australian Battery Recycling Initiative. ABRI was formed by a group of battery manufacturers, recyclers, retailers, government bodies and environmental groups to promote the collection, recycling and safe disposal of all batteries. 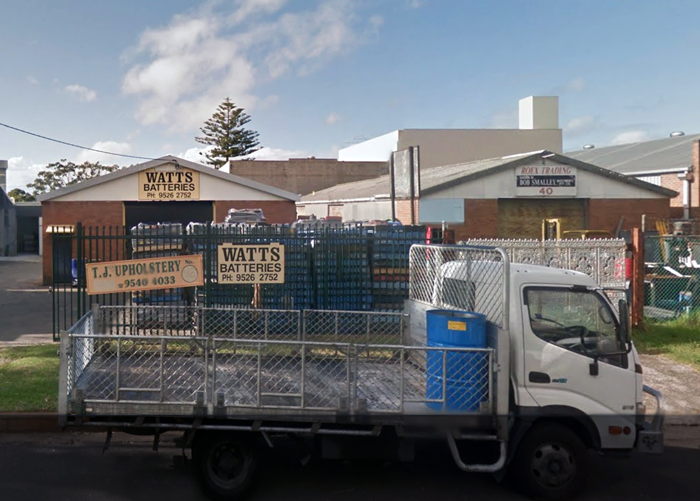 We offer a drop off service for local residents of Sydney plus a collection service for larger quantities. If you are unsure what kind of battery you have give us a call. Did you know that 98% of your old car battery can then be recycled? When a battery can no longer be charged it becomes waste and needs to be disposed of. 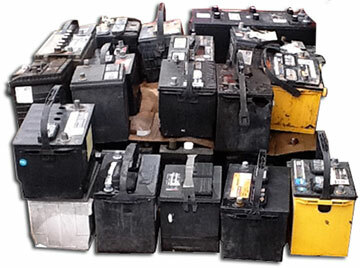 Car batteries, also known as lead-acid batteries are classified as hazardous waste. Approximately 70,000 tonnes of battery waste is produced in Australia every year. The good news is that a high percentage of the battery can be recycled but it must be taken to an authorised recycling depot such as Watts Batteries. They must not be placed in general waste or recycle bins, as the acid will leak and cause harm to the waste handlers and the environment. Each car battery contains around 2 – 3 litres of sulfuric acid, as well as lead, and lead compounds, all of which are toxic. 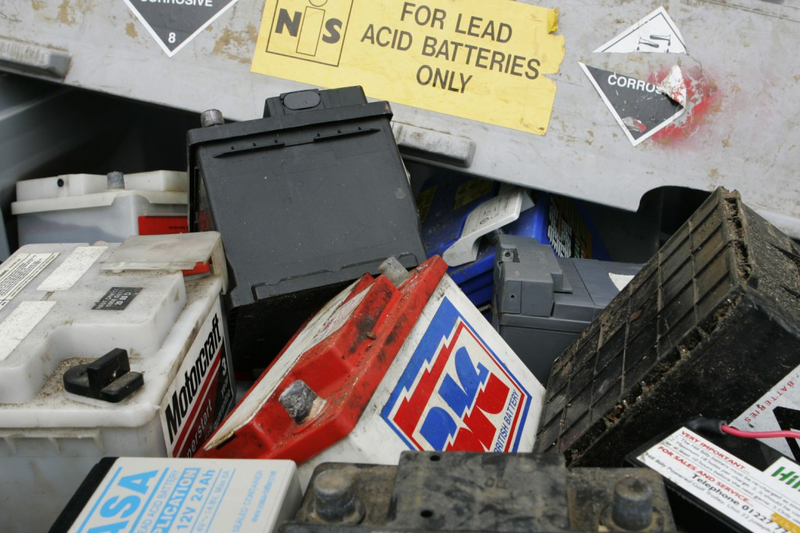 Car batteries can be recycled into new products made from the lead, sulphuric acid and polypropylene. 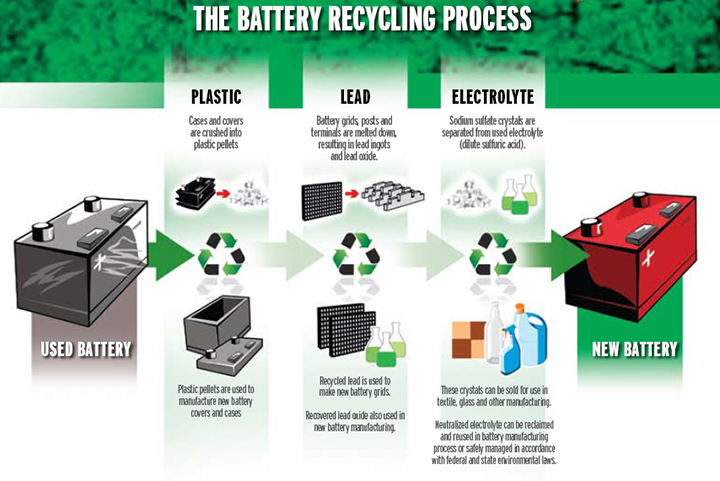 Recycling of these batteries uses less energy than refining primary ore and removes lead from the environment. SAFE TRANSPORT AND DISPOSAL While in your car the battery is held firm by a bracket designed to fit your specific battery. When transporting a battery for disposal you need to adhere to the same level of safety to ensure it doesn’t tip over and leak acid.